First edition of L’Engle’s Newbery award-winning novel. Octavo, original half blue cloth. Fine in a near fine first issue dust jacket with some light rubbing to the crown of the spine. 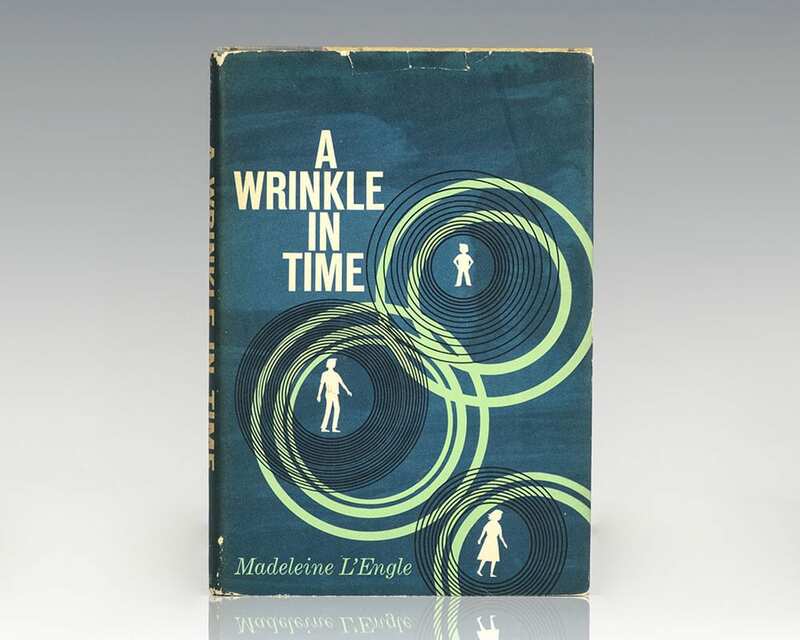 From the library of Madeleine L’Engle’s mother’s personal friend Hester Stover, the woman who introduced L’Engle to John Farrar at a Christmas party in 1961, who would finally publish A Wrinkle in Time after it had been rejected 26 times. L’Engle wrote in her 1972 memoir, A Circle of Quiet, “My mother was with us for the holidays, and shortly after Christmas I had a mall party for her with some of her old friends. One of them, Hester Stover, more than ever dear to me now, said, “Madeleine, you must meet my friend, John Farrar.” I made some kind of disgruntled noise because I never wanted to see another publisher; I was back to thinking I ought to learn to bake cherry pie. But Hester, going to a good deal of trouble, insisted on setting up an appointment, and I took the subway down to John Farrar’s office. I just happened to have that rather bulky manuscript under my arm.” Within two weeks of that meeting, L’Engle signed a contract with Farrar, Straus and Giroux. With a letter of provenance from the Stover estate. Without the Newbery Award winning seal to the front panel. Jacket design by Ellen Raskin. A very nice example with exceptional provenance. “At once a science fiction story, a philosophical meditation on the nature of Evil and Love and a coming-of-age novel, Wrinkle broke new ground in what was considered appropriate for young readers. Rejected by several publishers for being too complex, this title has amply proven L’Engle’s belief that ‘children are excited by new ideas’ and has been credited with bringing science fiction into the mainstream of children’s literature. This is L’Engle’s best work” (Silvey, 401). A Wrinkle in Time is one of the most significant novels of our time. "A book that every person should read, a book that provides a road map for seeking knowledge and compassion even at the worst of times, a book to make the world a better place" (Cory Doctorow). It went on to win a Newbery Medal, Sequoyah Book Award, and Lewis Carroll Shelf Award, and was runner-up for the Hans Christian Andersen Award. It is the basis for the film directed by Ava DuVernay, starring Storm Reid, Reese Witherspoon, Zach Galifianakis, and Oprah Winfrey. First Easton Press edition of the author’s third book in her acclaimed Time Quartet. 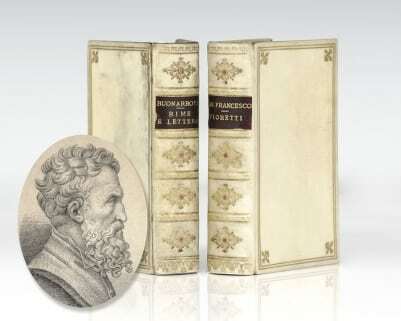 Octavo, bound in full leather, gilt titles and tooling to the spine, front panel, all edges gilt, silk endpapers. Signed by Madeleine L’Engle on the title page. In fine condition. A Wind In the Door. 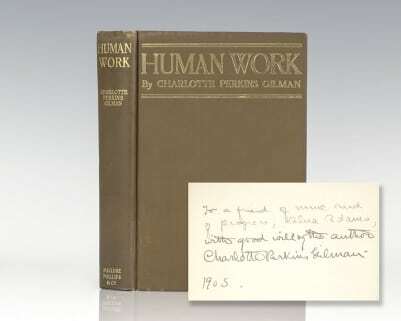 First edition of the second book in the author’s Time Quartet series. Octavo, original cloth. Signed by Madeleine L’Engle on the title page. Fine in a very good dust jacket with some wear to the spine. Jacket design by Richard Cuffari. Easton, CT: Easton Press, 2004. First Easton Press edition of the second book in the author’s Time Quartet series. Octavo, bound in full leather, gilt titles and tooling to the spine, front panel, all edges gilt, silk endpapers. 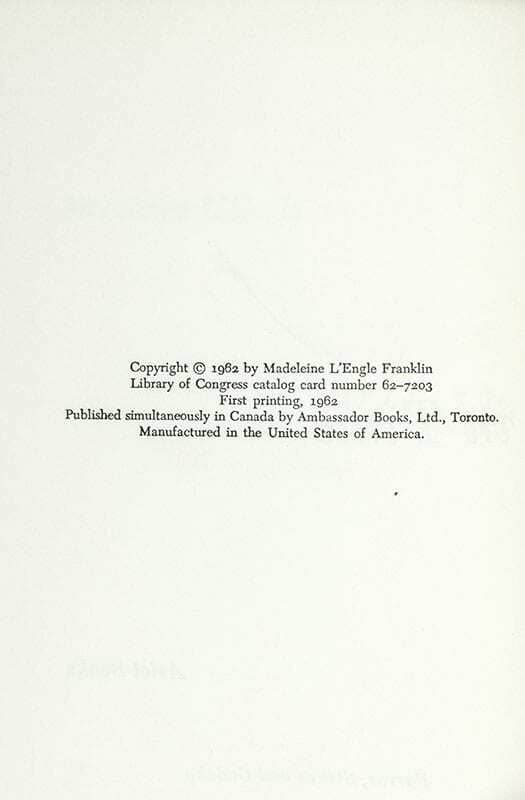 Signed by Madeleine L’Engle on the title page. In fine condition. The Time Quintet:] A Wrinkle in Time; A Wind in the Door, A Swiftly Tilting Planet, Many Waters, An Acceptable Time. First editions of each novel in L’Engle’s acclaimed Time Quintet. Octavo, original cloth. Each volume is near fine to fine in near fine dust jackets. 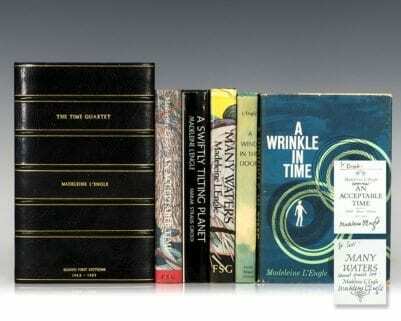 A Wrinkle in Time is without the Newbery Award-winning seal to the front panel. Jacket design by Ellen Raskin. Housed in a custom half morocco clamshell box. 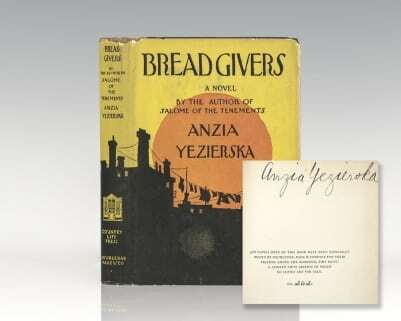 An exceptional set, most rare and desirable signed and inscribed.